SUMMARY: If parents foster the right relationships, children can overcome their fear and embrace the dentist as an ally in proper oral health. Like the Bogeyman or dark hallways, it appears most children have an innate fear of going to the dentist. In fact, according to a 2015 nationwide survey from the the Delta Dental Plans Association, nearly half of all children indicated that they were nervous about their annual dentist visits. It doesn't have to be that way, especially since the dentist plays such an important role in both treatment and demonstrating the importance of proper oral care. "Nearly 50% of all kids surveyed fear the dentist." Perhaps the biggest reason kids fear the dentist, the Delta survey suggested, is because they're mirroring the sentiments held by mom and dad. Therefore, it's important that parents show their children how to behave at the dentist. Do your best to put on a good face and to treat the dentist like an investment in your personal health. Simple gestures like talking to the doctor and showing enthusiasm can go a long way toward influencing your child. If your child has questions, be sure to address them with a certain positivity. The American Academy of Pediatric Dentistry suggested that all children should see the doctor within six months of presenting their first tooth. Infants are likely to be more fearful of doctors, but it's vital that children see the dentist as early as possible. 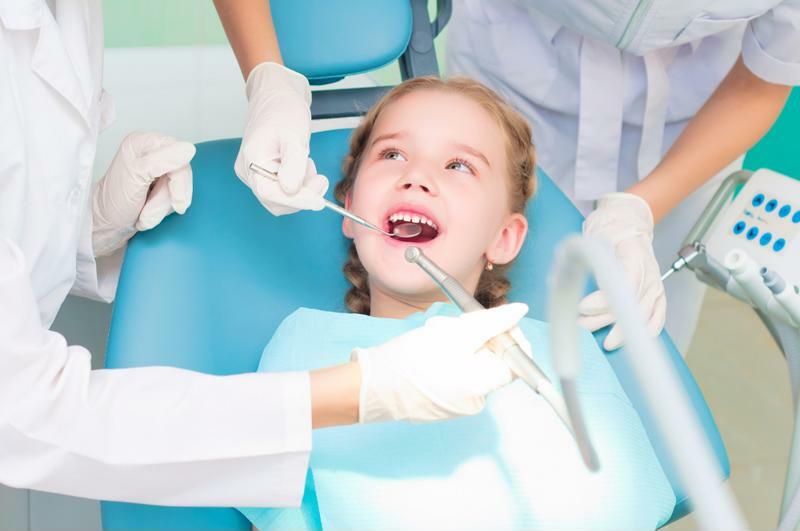 By introducing the dentist into your child's immediate circle, you're reducing the child's fear and making the doctor appear to be an integral component of the child's life. Just as important, though, is that the child remain with the same dentist for as long as possible. By avoiding constant changes, the child can develop a vital bond. Children don't have to fear the dentist if their parents foster a positive relationship. Speaking with Parents magazine, pediatric dentist Michael J. Hanna said to emphasize more positive phrases. Cavities, for instance, are "sugar bugs," and phrases like "clean, strong, healthy teeth" are especially important. The first time anyone goes to a new dentist can be an awkward experience. Someone you know very little about will spend an hour or so poking and prodding around your mouth. To mitigate this tension, especially with kids, you may want to set up a meet and greet with the dentist. Let the dentist talk to your child about his or her interests or take the youngster on a tour of the office to see the equipment involved. If the child has questions, work with the dentist to address them, or come up with questions of your own. The more the child sees the dentist as a person, the less fearful he or she will ultimately feel. In addition to a meet and greet with the dentist, you may also want to stage a mock dentist visit right in your own home. For this slice of theater, you, the parent, will play the role of the dentist, and you won't need anything more than a toothbrush and stand-in dental chair. Show your child what he or she can expect, like how the dentist will touch the teeth or how to rinse and spit in a cup. Much like the meet and greet idea, you're taking away the fear of the situation by giving your child experience and information. And by associating a trusted adult with the dentist, the child is less likely to be afraid or nervous.